Barcelona has produced sportsmen and women of championship standard in a variety of sports and this, combined with the Olympic Games which were held here in 1992, has resulted in a rapid expansion of facilities for spectators and participants of sport. Barcelona is close to both the sea and the mountains and this was a contributing reason it was selected for the 1992 Olympics. 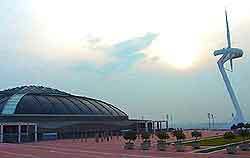 The Barcelona Olympics certainly increased the provision of leisure facilities in and around Barcelona, particularly in the Catalunya area. Forthcoming sporting events are published in the local daily sports papers, 'Sport' and 'El Mundo Deportivo'. 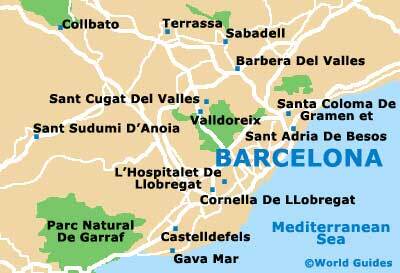 These can be a good place to find the latest sporting events in and around Barcelona. Alternatively, the city's tourist information offices will be happy to help with any sporting enquiries. There is an enormous amount of sports available to visitors in the city and being only minutes away from many nearby towns, Barcelona has a wide range of activities to tempt all lovers of the outdoors. The local sporting calendar is full of exciting events throughout the year. Between March and June it is possible to watch championship events in a variety of sports including cycling, tennis and soccer. Football is more than a sport in Barcelona, it is a real passion and obsession with the locals. 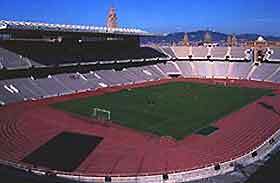 The city's team the 'Barcelona Futbol Club' (El Barça) play regularly at the Camp Nou Stadium in the north of Barcelona. Tickets can be purchased on the day at the ground, although for some of the larger games, it is advisable to buy them in advance. American football is becoming more popular as a spectator sport in Barcelona and the season runs from April to June. The city's own American football team 'The Barcelona Dragons' play regularly in the Estadi Olimpic against many other teams competing in the World League of American Football. Bowling is increasing in popularity in Barcelona and there are many bowling venues in and around the city, such as AMF Bowling Barcelona at c/Sabino de Arana and Planet Bowling at Parc Comercial Barnasud, Gava. Bullfights have never been an integral part of life in Barcelona, as it can be in many parts of Spain, and some neighbouring towns have actually banned bullfighting completely. In Barcelona there are two rings at either end of the Fran Via de les Corts Catalanes. However, bullfights are so infrequent that the rings are more often used for exhibitions and concerts. Cycling is a favourite sport of the Spaniards and this is particularly so in Barcelona, where it is both a national sport and pastime. In May the 'Bicycle Fiesta' is held and then in September there are more races with an international cycle race to Montjuïc Castle and there is also the Mercé festival, with more cycling events in Barcelona. There are several well-equipped fitness centres in this city, with fitness and weight training, aerobic courses, personal trainers, saunas, solariums, steamrooms, hydrotherapy and massage. Most gyms and fitness centres in Barcelona are open daily. Courses in sailing and windsurfing are available in Barcelona at the Centre Municipal de Vela, Port Olimpic 100 and these usually take place at the weekends. There are courses for children, adults, seniors and also disabled people. Although the sandy beaches in Barcelona and a good place for a spot of sunbathing, the water quality in not usually very good and so swimming is best done either at coastal beaches or in one of Barcelona's swimming pools.